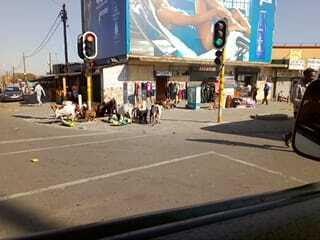 Township farmers must stop keeping life stock because they doing a pretty bad job in that department. This picture was captured yesterday when I was in Dube and it shows how bad local farmers treat their livestock. It’s bad enough for livestock feeding alongside dump sites, drinking water contaminated and eating from street cabbages.